The wall on Thatch Cay in the Turks and Caicos. Thatch Cay is a three acre (1.2 hectare) uninhabited limestone shoal island off of the remote central north coast of East Caicos. The cay serves as a brown pelican rookery, and is surrounded by very treacherous shallows and reefs. 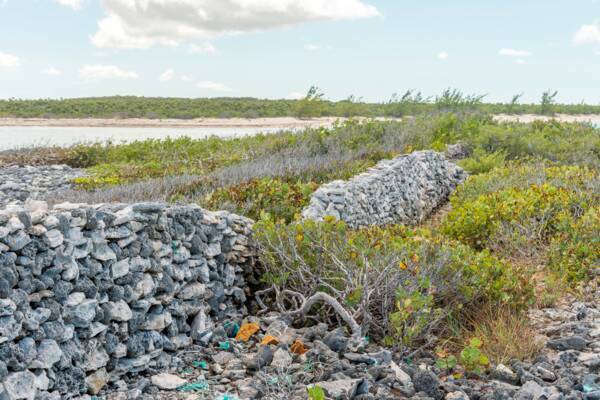 A mysterious stone wall divides the island, and may have been a boundary line for cattle ranching on East Caicos in previous centuries. Thatch Cay near East Caicos. Last reviewed by an editor on 21 March 2019.